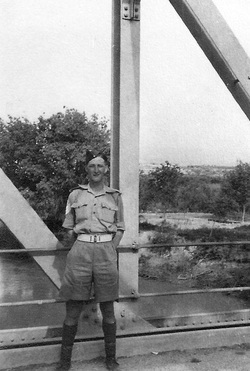 Ray on the Allenby Bridge. Later he moved on to Palestine. 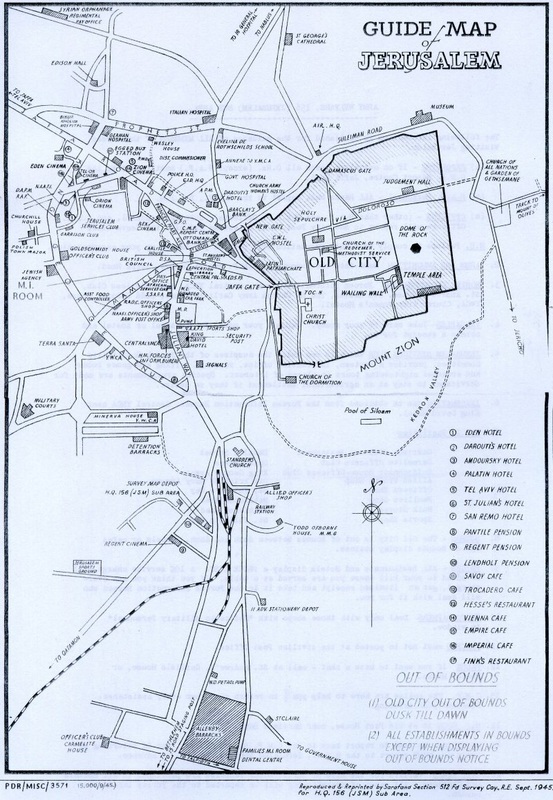 There is little available detail of his time spent there prior to him attending the officer training course at Acre in August 1941. 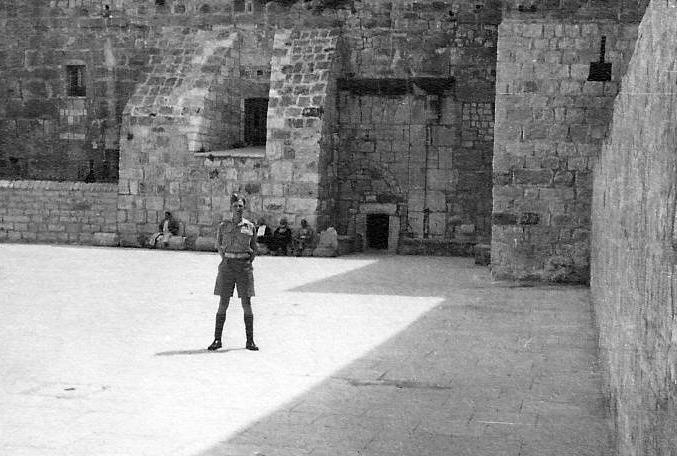 Although from his photographs it can be seen that he spent time in working in Gaza and time on leave in Jerusalem, Nazareth and Bethlehem amongst other places. He described Palestine as much cooler and more pleasant than Egypt. 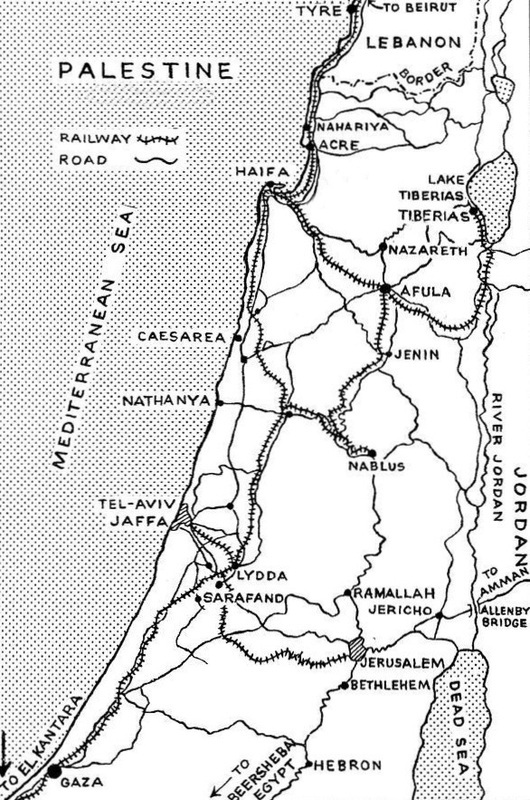 Whilst there he visited the Allenby Bridge (photo left) which crosses the River Jordan and was (and still is) the border crossing from Palestine and Trans Jordan (now Israel and Jordan). 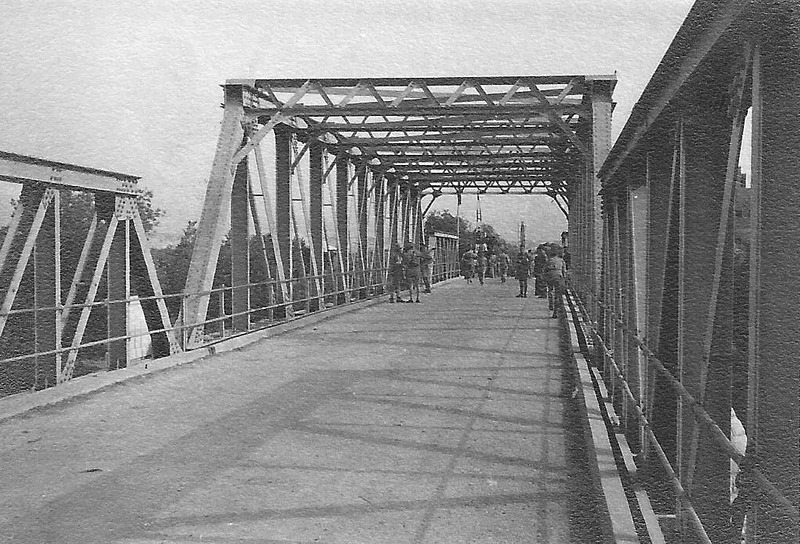 The original bridge was built be the Royal Engineers and opened in 1918. 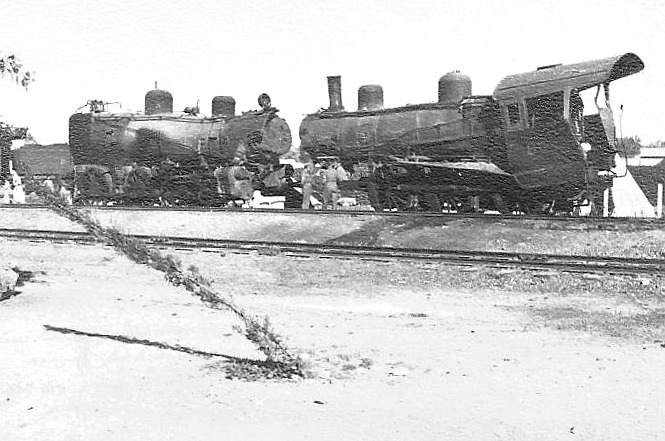 It was widened in the 1930s, badly damaged in an attack by the Palmach (the elite fighting force of the Haganah, the underground army of the Yishuv (Jewish community) during the period of the British Mandate for Palestine) in June 1946. 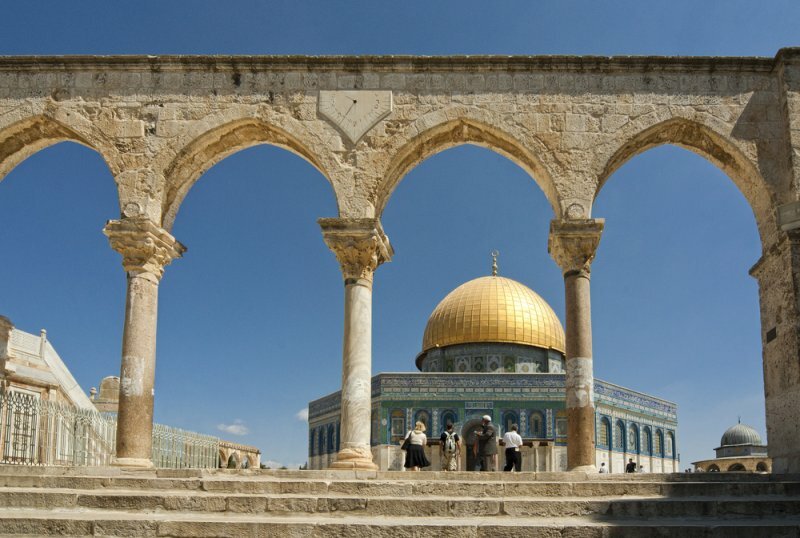 Destroyed during the Six-Day War, it was replaced in 1968 with a temporary truss-type bridge. This bridge is still called the Allenby Bridge by the Israelis, although it is also known as Al-Karameh Bridge to Palestinian Arabs, and the King Hussein Bridge to Jordanians. In the late 1990s, and subsequent to the Israel-Jordan peace treaty, a new modern paved crossing was constructed adjacent to the older wooden one. 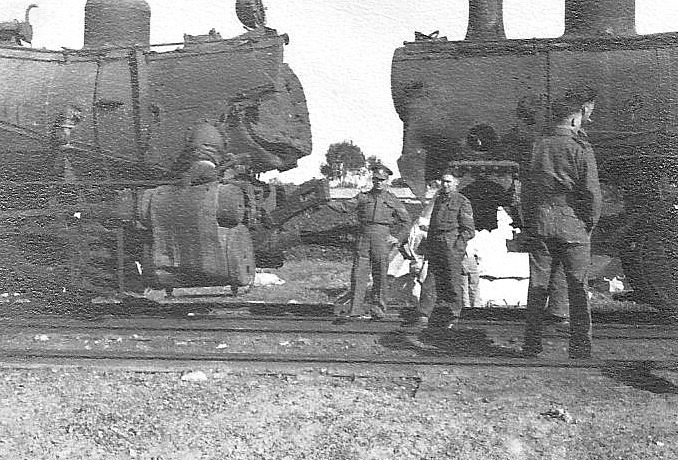 Ray's caption on the photos above says 'The result of a slight accident at Gaza'. 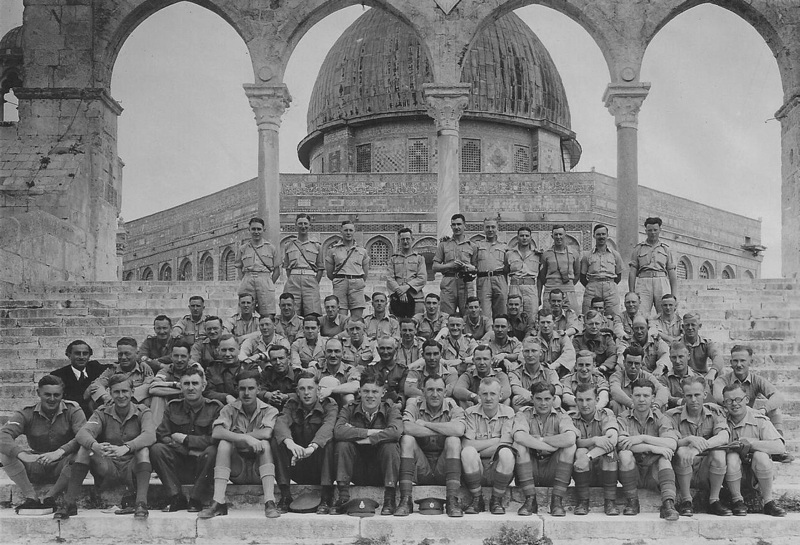 Ray 2nd left back row, among a leave party at the Temple of the Rock, Jerusalem, photo taken 12 April 1942. A Modern View of The Temple of the Rock. The Dome was Refurbished in 1993 and clad with 82 Kilos of Gold. 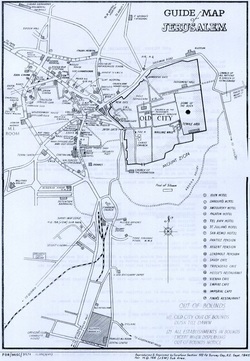 A WW2 Map of Jerusalem Produced for use by Leave Troops. Ray and friends Floating in the Dead Sea. 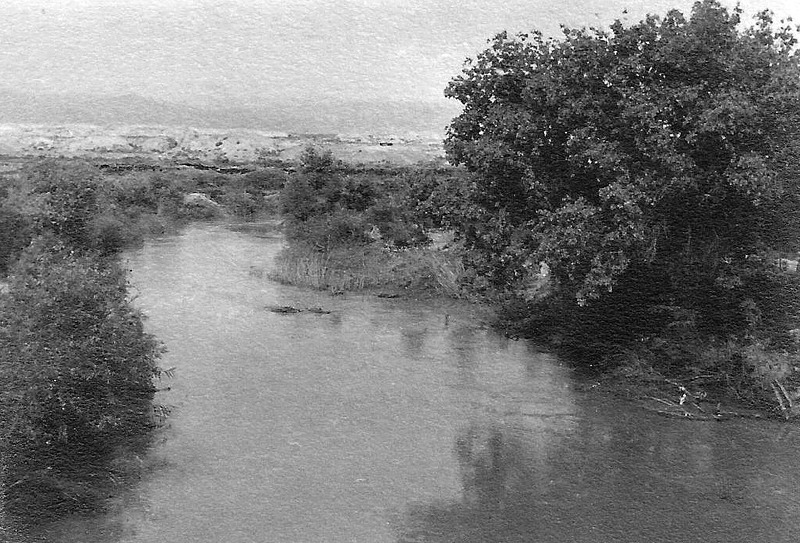 The River Jordan from the Allenby Bridge.